We left North Pole and headed west, passing back through Fairbanks and onto the Parks Highway. 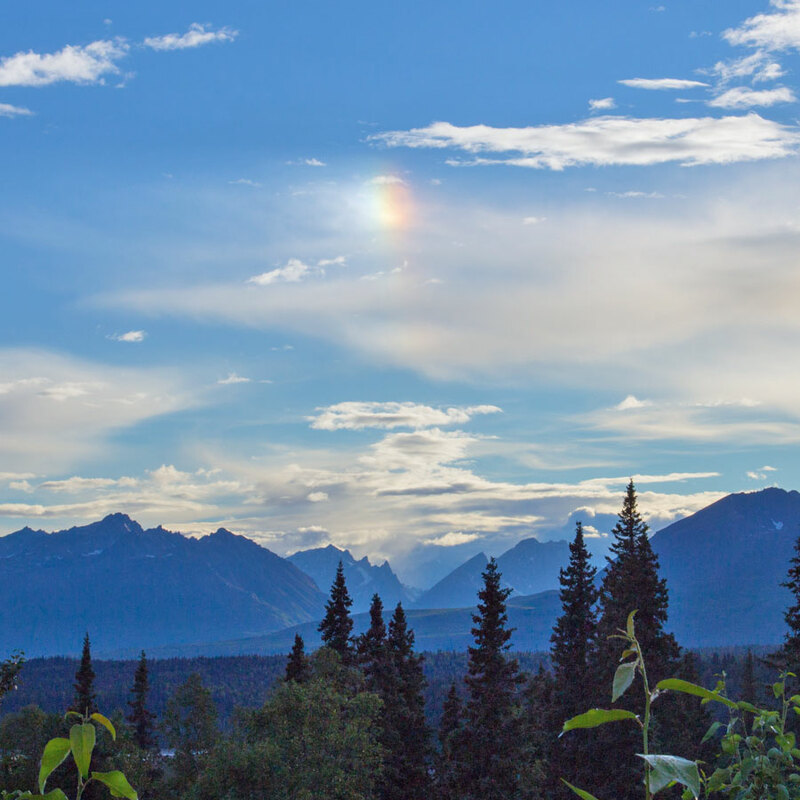 The road stretches more than 320 miles from Fairbanks to Anchorage through the Alaska Interior. We broke up the journey in several stops, planning to stay overnight at Healy. But the town was suffering from wildfires, and we were suffering from poor internet connectivity, so we moved on. We ended up staying at Denali South Viewpoint instead, an unassuming campground that is little more than a parking lot in Denali State Park. 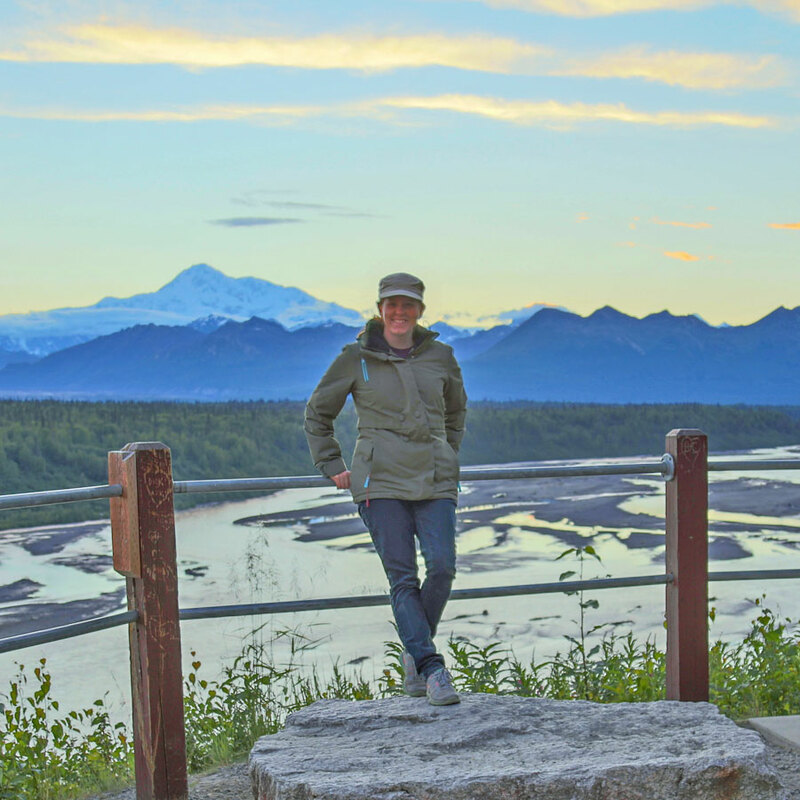 Around midnight, I hiked the short trail to the Denali overlook and was rewarded with a sunset view of Denali, North America's tallest mountain. From here, we moved to Nancy Lake State Recreation Area, which would be home for over a week. 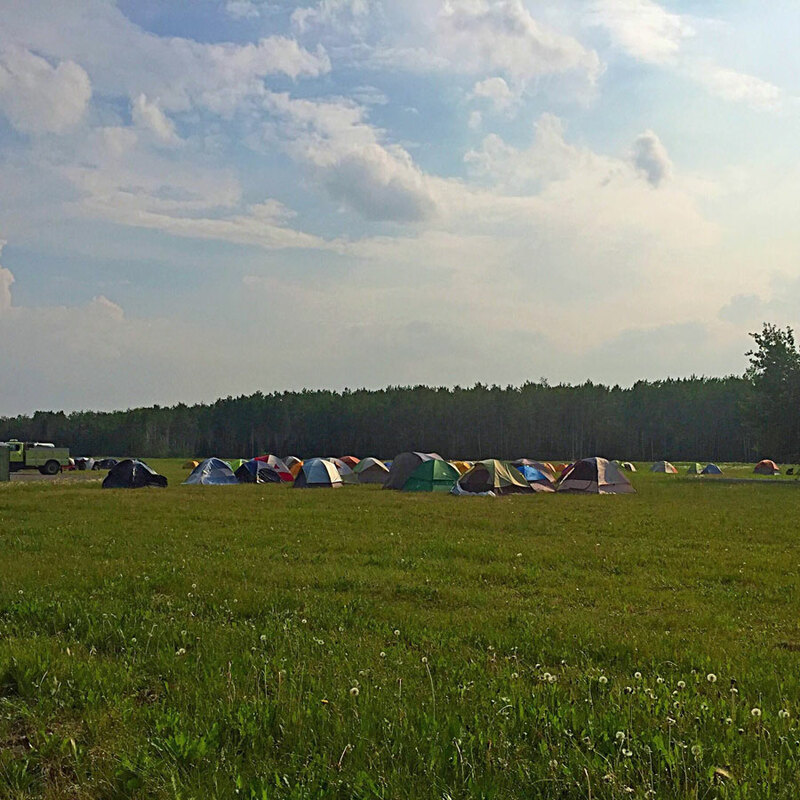 We camped at the South Rolly Campground, which is $15 a night for boondocking sites. Verizon and AT&T are available with enough signal to work over a booster near the campground entrance. 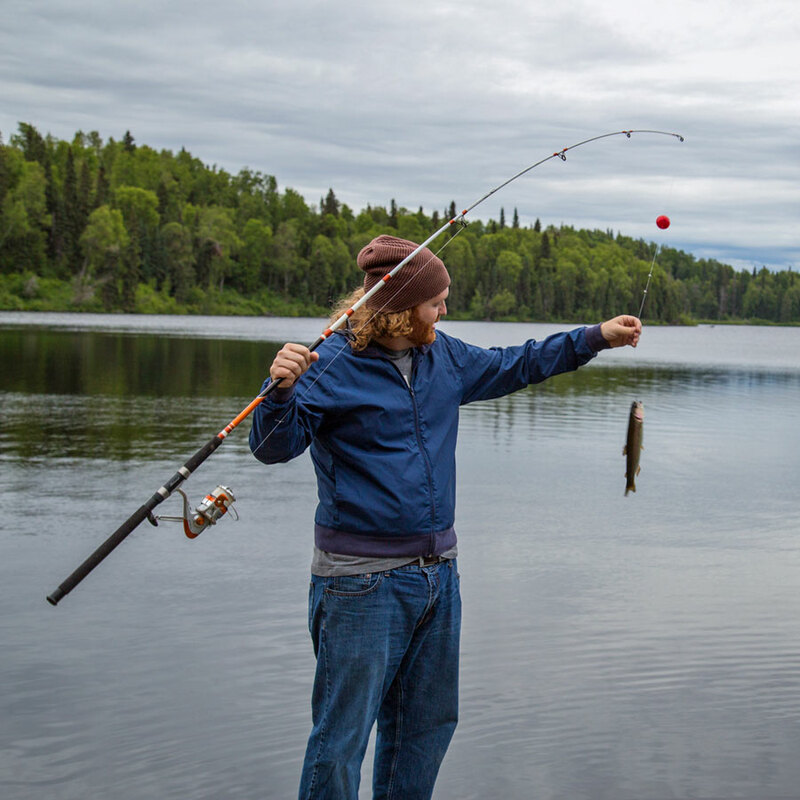 Campers can rent boats, go hiking or fish in South Rolly Lake. 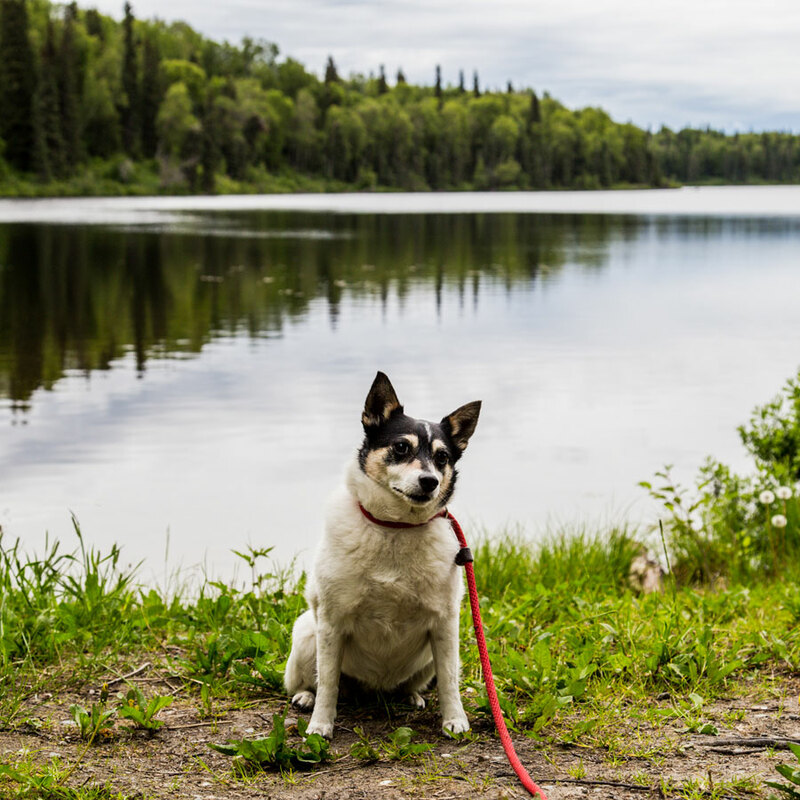 We never made it down the Red Shirt Lake trail, but we heard good things about this hike, where after a three mile walk, canoes can be unlocked with keys rented from the boat rental at the campground. 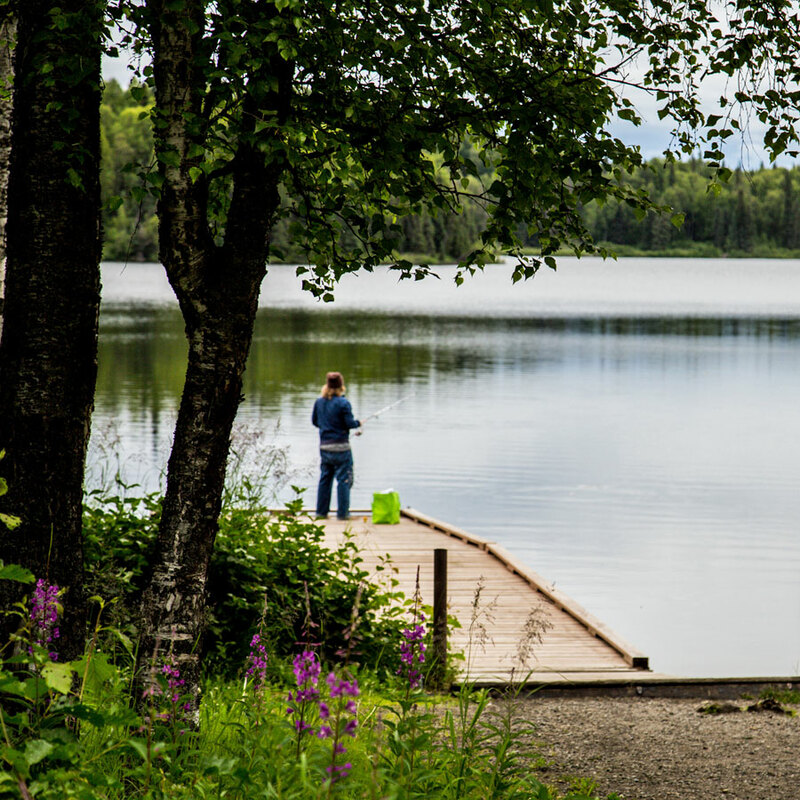 The lake is stocked with rainbow trout, which obligingly love to jump right near the dock. 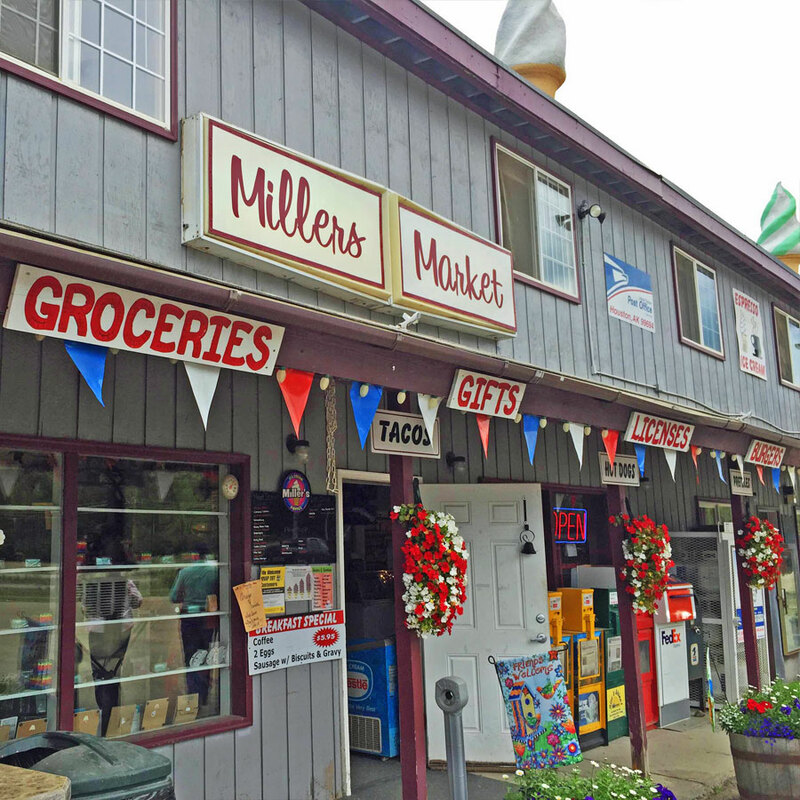 Located between the tiny towns of Willow and Houston, we spent most of our forays in Houston, as it is home to Miller's Market. This place is a one-stop-shop for the area, including a convenience store, restaurant, gift shop and post office. 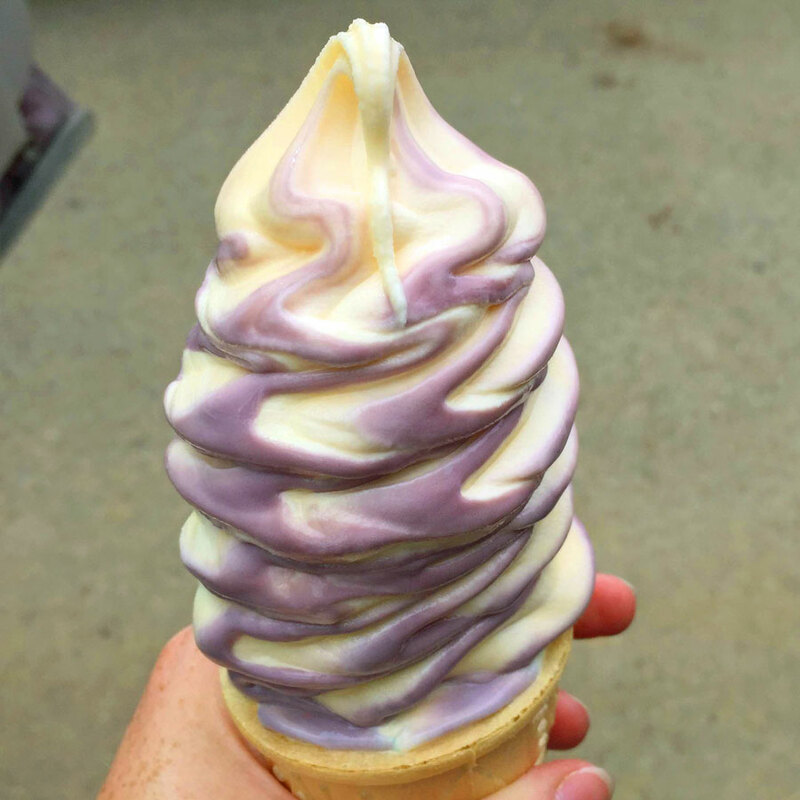 But it may be most famous for its frozen treats, including ice cream and towering swirls of soft serve. 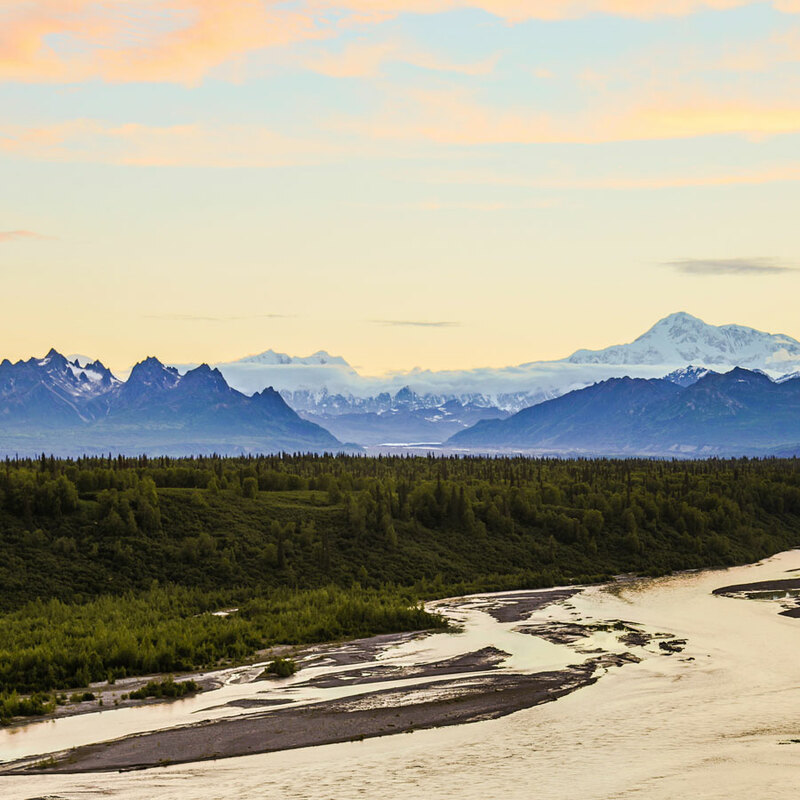 While it's possible to get beautiful views of Denali from the Parks Highway, it's a longer drive to reach Denali National Park. 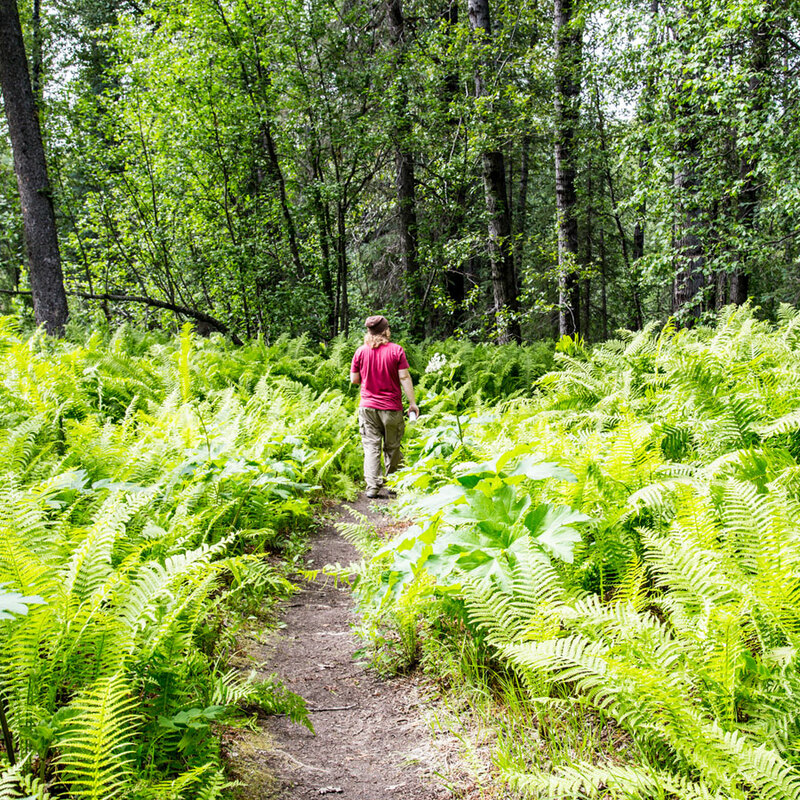 For those who want to explore closer to the east, Denali State Park is a nice compromise. 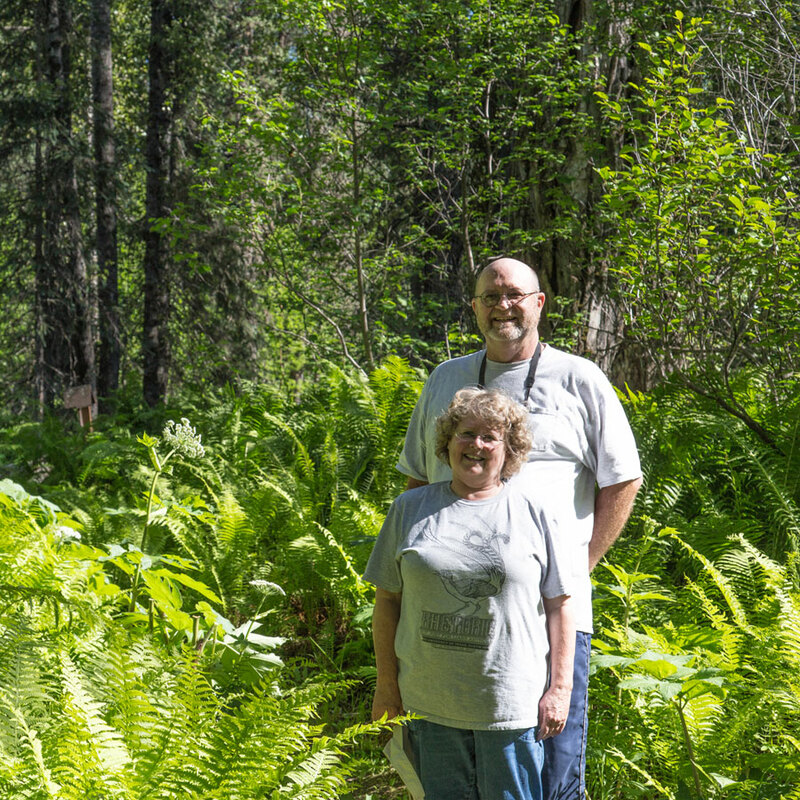 When Josh's parents came to visit, we returned to the Denali Overlook South and then ventured a few short miles farther north to the trailhead for Lower Troublesome Creek. The relatively easy, short hike leads to Lower Troublesome Creek, providing pretty views of still waters (at least when we were there). 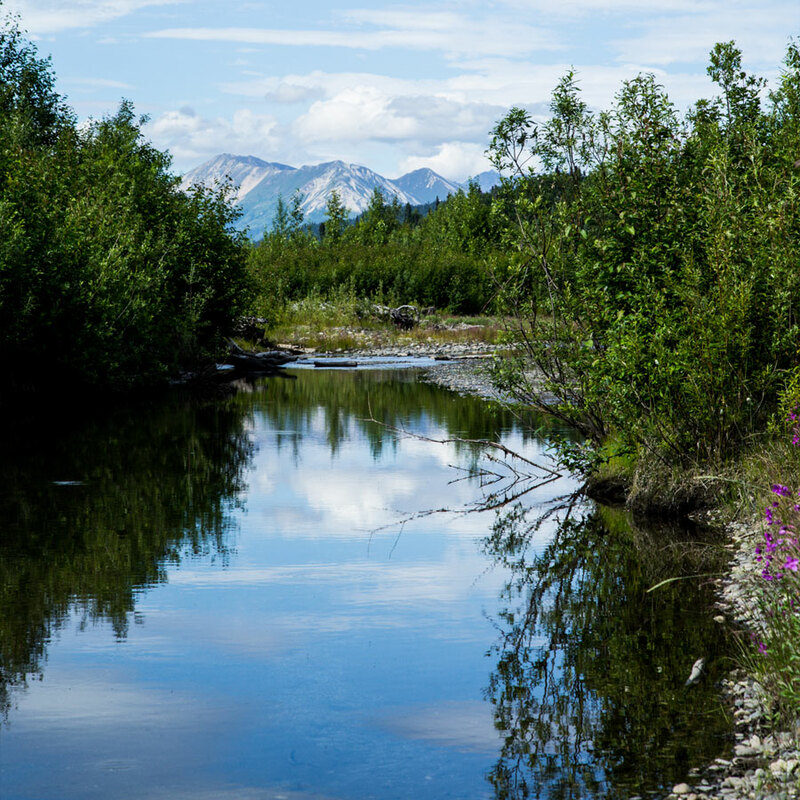 The Parks Highway continues through Wasilla and several little towns between Houston and Anchorage, but in our opinion, the most spectacular scenery is to be found around Denali State Park. 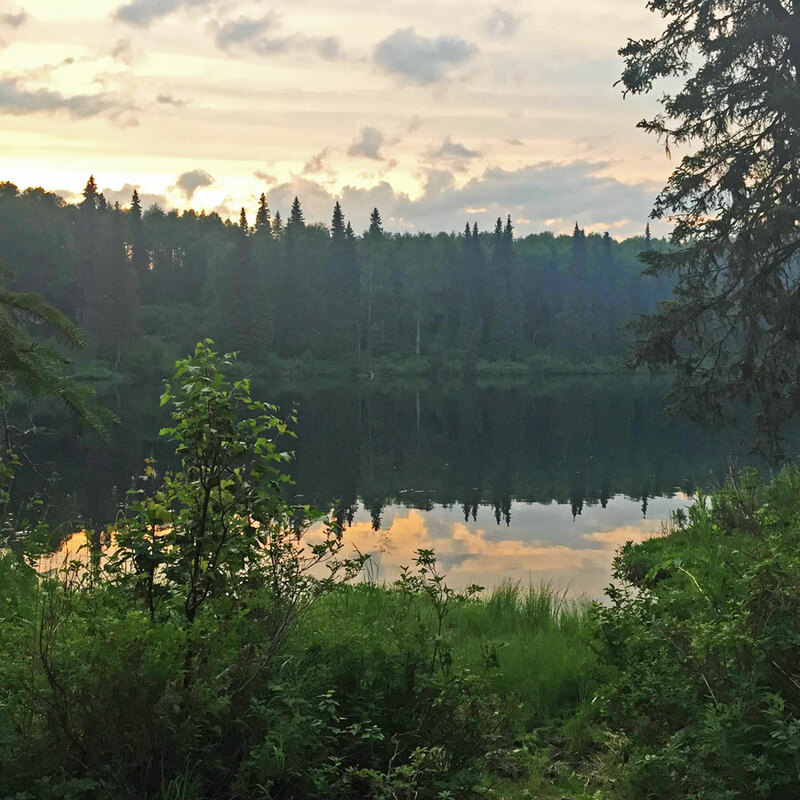 One other place of note we visited but didn't get a chance to photograph is McKinley Park, a cute resort town that is a launch point for adventures on the Nenana River. 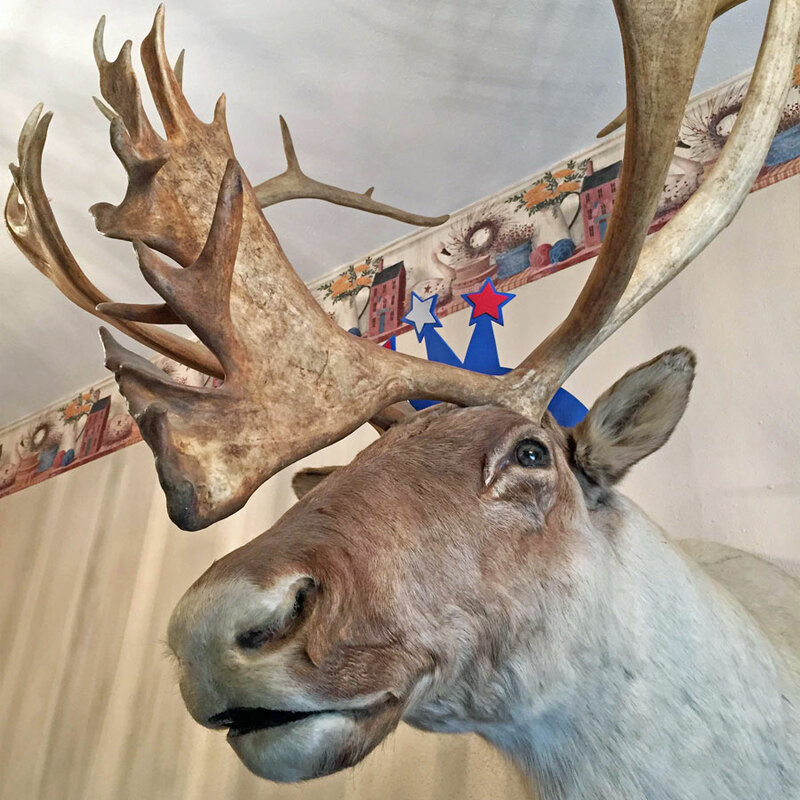 We aim to return to the Parks Highway before leavng the state, staying overnight in the charming town of Talkeetna for an evening and touring Denali National Park. 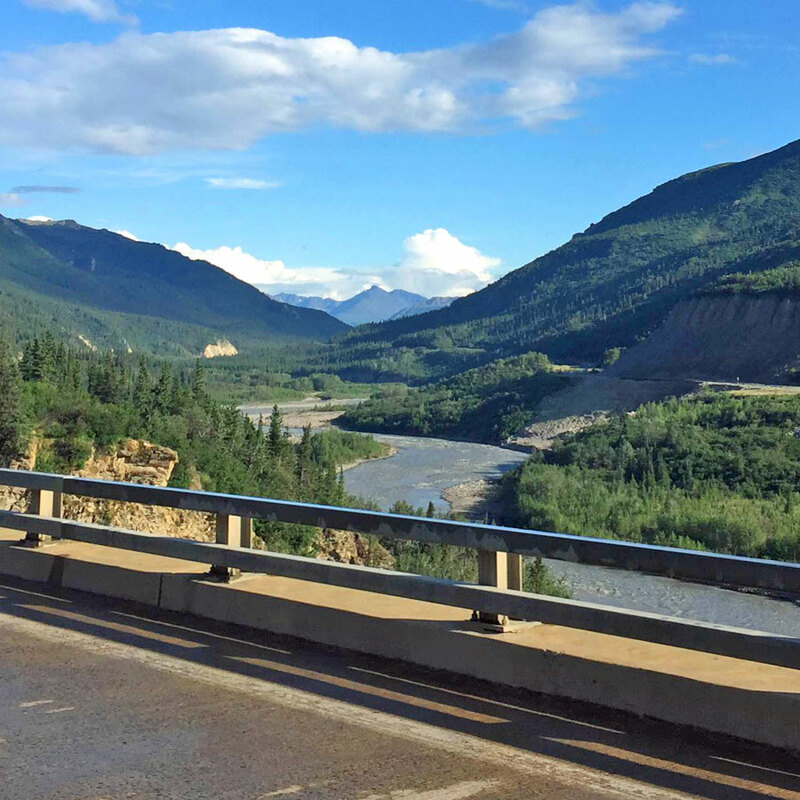 Have you traveled the Parks Highway? What are your favorite sights and stops?